Mississauga Condo Market in 2018. 2017 was an interesting year in GTA real estate to say the least. We covered in an earlier blog how home prices between January to April skyrocketed by 10-15%. 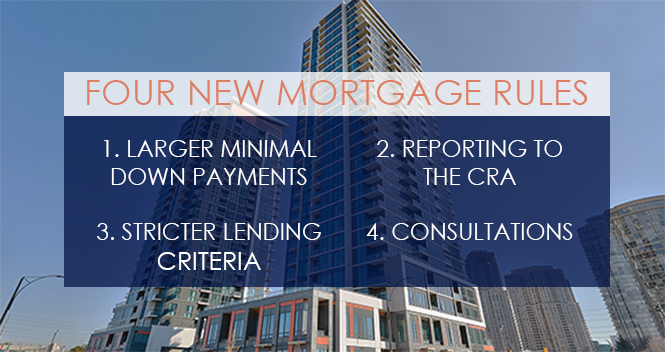 After the April 20th new mortgage rule announcement the market seemed to have take a turn. Here is what happened since then. Depending on the area, the number of homes for sale at any given time went double or even triple what they were earlier in the year. Prices have taken a dip also. The biggest change was experienced by homes priced over the $1.5m mark, dropping in some cases as much as 20%. Over the past few months, I visited many presentation centers for new homes and it’s clear that new homes are not selling like they used to. Big builders such as Mattamy Homes, got accustomed to selling out entire phases over one weekend, and now are barely selling any houses. New townhomes have taken a noticeably less downturn, but are still not moving as fast as before. Condos listed on MLS seemed not to be affected by the new mortgage rules. Regardless of location, size or even sometimes condition, condos which are well priced do not last long on this market. Many first time buyers are surprised to see the low inventory levels. Some of the popular buildings in Mississauga, such as Onyx or Chicago Towers, only have 1-2 available units listed for sale at any given time. If there is any segment of the market that almost benefited from the recent mortgage rule changes, it’s the new condo market. Average PSF (price per square foot) in Toronto went from the mid $600s to the mid $800s+. Which means a small condo with a parking spot in Toronto can cost anywhere between $500-600k. Mississauga has also seen price increases where $600+ PSF is the new normal. Why is the above happening? The answer is simple. Affordability. For the vast majority of buyers, detached homes are simply out of financial reach. Under the new mortgage rules, buyers must qualify for all real estate purchases as if the mortgage interest rate was 5%. This can easily add up to 20% more on your monthly mortgage payments. For the same reason, in 2017 and going on into 2018, the mainstream way to invest in residential real estate will remain as condos. Not only do condominiums see better cash flow (than detached homes), and healthier appreciation, but are also much easier to rent. What is interesting to note is that, for the past five years or so many “real estate gurus” and media publications, positioned condos as the more “riskier” investment over stand-alone homes. There was a sentiment that condos were overbuilt and overvalued. As we have seen last year, the exact opposite unfolded, and condos turned out to be the winner. I still believe that the best long-term real estate investment one can make is a pre-construction condo. Some of our clients who bought in previous phases, such as Grand Park 2, PSV and Crystal, have seen over $100k in price appreciation over the past few years. There is a high demand on the rental market for these condos and they usually get rented within a week or so. Regardless if you’re a first-time buyer, a downsizer planning for his/her retirement or an experienced investor, I recommend you reach out to us and we can find you the best condo for your needs. In 2018, we have quite a few launches in Mississauga. So far we announced – Highlight condos, Edge Towers (2nd release) and Avia. Stay tuned for more! What’s Going On With The Mississauga Condo Market? Less than 3 months ago the real estate market in the GTA was in a much different state than it is today. It was common for condos for sale to get 20+ showings within a few days. During this time, our team managed to sell some condos as high as 120% of asking the price! So why did the Mississauga condo market dip recently? On April 20th, this all changed when the government of Ontario passed a new law called the Ontario’s Fair Housing Plan. Under this new legislation, 16 new measures were introduced to help more people find affordable housing, increase housing supply and provide a way for the real estate market to balance out a little more. As a result of the changes, the number of freehold home sales dropped by over 20% in May 2017, as compared to May 2016. Condo sales have only dipped by 6.4%. This might suggest that these new rules had a more meaningful effect on pricier properties, rather than the affordable real estate. Despite the number of sales being down, the prices for most condos have stabilized compared to what they were last year. When talking to some of our buyers we noticed a few of them decided to see “how things play out” before buying their next property. On the other hand, some sellers decided to “cash in” on their real estate holdings which have appreciated nicely over the past few years. This, partly explains the imbalance in the market which has caused the number of transactions to go down. Condo Market Up 10% in 90 days? This may seem almost unbelievable, but it’s true. Some condos in the Square One area have sold for up to 10% more than they did just last November. Pretty much every well-advertised condo in today’s market should be going into multiple offers. As a buyer, you can expect to pay up to 10% more than comparable sales last year. It’s not uncommon to see firm offers on condos, without even a condo status certificate condition! To give you an idea of how hot the condo market is; last month, we got a listing and within 24 hours we had 43 showings and seven offers. The unit ended up selling over $60,000 more than the same unit last fall. For a one bedroom condo, you can expect to pay from the mid $300’s and two bedroom units start at around $475,000+. As of October 17th, 2016, some Canadians may find it more difficult to obtain a mortgage in order to purchase a home. Below I will discuss the FOUR major changes within the system; who it affects and what this means for the housing market, more specifically, the Mississauga condo market. What is a high-ratio mortgage and who does it impact? The Canadian Government now requires those with less than 20% down payment to purchase mortgage default insurance. Therefore, anyone with less than 20% down payment is considered to have a high-ratio mortgage. All high-ratio insured home buyers must now qualify for mortgage insurance at a rate of 4.64%. Though banks offer interest rates at 2.5%, institutions want to ensure borrowers can still make their monthly payments in the event that rates increase. This new rule came into effect on October 17th, 2016. 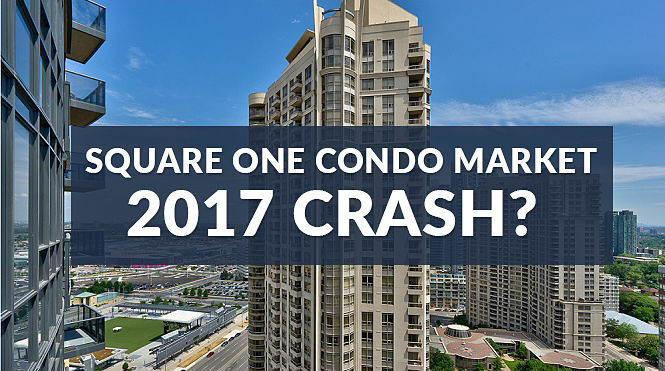 Will the condo market crash in 2017? Since the beginning of 2016, we have seen a few new price records being broken in the Square One area. We have seen one bedroom plus den condos cross over $300k, while some two bedrooms are creeping above the $400k mark. While many condo owners are satisfied to see their homes go up in value, the rising prices do raise concerns over a “real estate market bubble“. 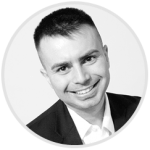 In this blog post, I will outline some of the key factors which continue to propel the market forward, and why I believe a real estate market crash is less likely to happen than many people tend to believe. That said; the market can not rise at this pace forever. There will be a tipping point, at which I believe the prices will stabilize for some period of time. This entry was posted on Tuesday, September 6th, 2016 and is filed under ALL Articles, Market Statistics. The first quarter has been a great start to the 2016 real estate market. With home prices once again at all-time highs, buyers found themselves scrambling in multiple offers trying to find the perfect home. Typically this only occurred with freeholds (houses, semi-detached, and townhouses), but for the first time this year, we saw this phenomenon carry out into the condo market. The following trends are now happening in downtown Mississauga. The number of condo sales in City Centre in 2016 is up by 30% over the same time period last year. This spike is mainly the result from a few new condo projects that were completed since 2015. This includes Pinnacle Uptown’s Crystal condos and Mirage. We expect to have even more inventory later on this year as we get ready for the completion of PSV 1 and PSV2. This entry was posted on Thursday, April 14th, 2016 and is filed under ALL Articles, Market Statistics. 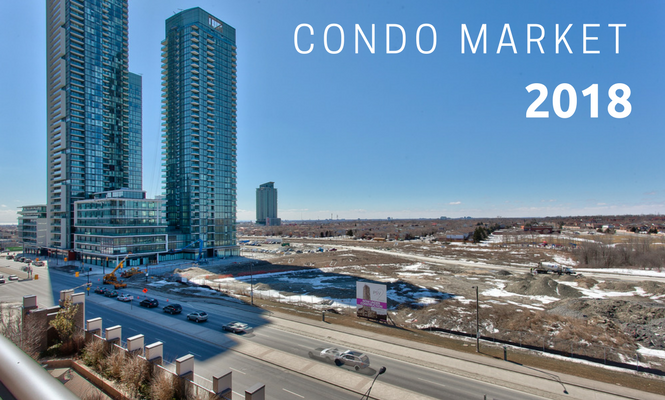 As we welcome 2016, it’s no surprise that condo prices in Mississauga continue to increase at around 3% per year. The major drivers of this force are freehold homes, which have increased in some places by nearly 60% in the past decade. Condos have become the norm for all first-time home buyers and investors. Investors continue to enjoy the low 1.2% rental vacancy rates that Mississauga has to offer. First-time-buyers might be surprised to see certain buildings such as City Gate, list one bedroom + dens for around $300k and sell. Similar units 2-3 years ago were selling in the $270’s range. One of the key factors driving Mississauga Condo prices up; are international buyers. Although the exact number of foreign and overseas ownership is not available for public, experts estimate this number to be as high as 15-20%. With the falling Canadian dollar (around $0.68 at the time of writing this article), Mississauga real estate looks like a “good buy” for many people abroad. This entry was posted on Thursday, January 21st, 2016 and is filed under ALL Articles, Market Statistics.